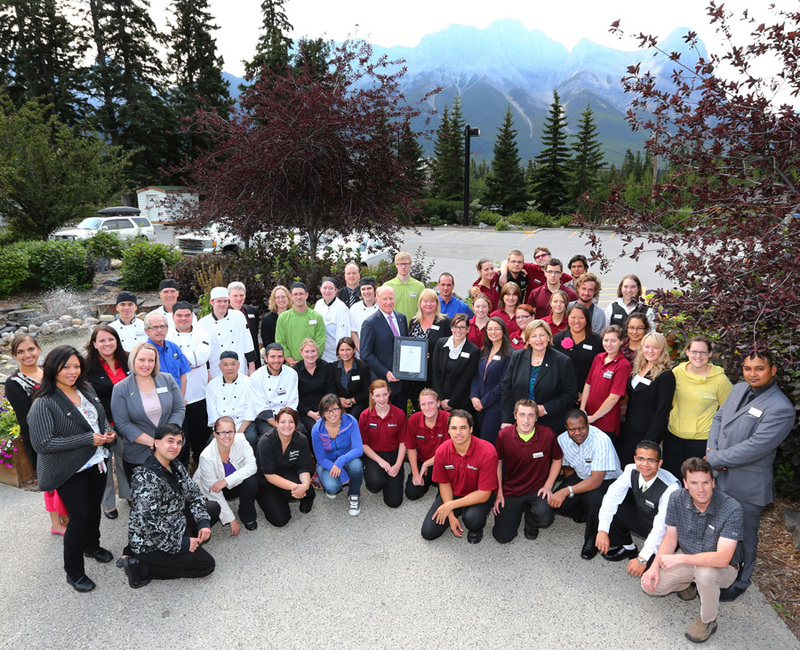 Canmore, AB, September 3, 2013 – The Radisson Hotel and Conference Centre Canmore was awarded the President’s Award by SilverBirch Hotels & Resorts recognizing the hotel’s above and beyond efforts to assist guests and the Town of Canmore during the recent flood. A donation of $10,000 was also made by the hotel and SilverBirch Hotels & Resorts to assist with Canmore’s flood relief efforts. When Canmore declared a state of emergency, the hotel’s General Manager, Sarah Law, and her team did what they do best: provide exceptional services that exceed guest expectations. The staff ensured the hotel remained in operation by bringing in extra water pumps. The hotel also made sure guests were provided with ample food and drinking water. An information centre was set up in the lobby to keep guests up-to-date on the flood situation. Several hotel guests stepped in to help by volunteering to share rooms, which opened up extra accommodations for emergency workers and local evacuees. The hotel also provided the Town of Canmore with extra cots, blankets and pillows.